This is a good one. Michael Healy-Rae, the son of one of our finer politicians, won a ‘reality’ TV show thanks to a public phone-in vote. Several thousand of these calls, it turned out, came from his father’s place of work. As his father is a lone-wolf independent, not exactly popular with other TDs (representatives), it is beyond belief that this was a spontaneous outpouring of support by his fellow deputies. Government phone lines, which are free for representatives of course, were used to call premium numbers – were used in what can only be honestly described as an orchestrated attempt to cheat. 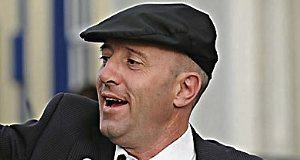 On his father’s retirement at the last election, thanks in part perhaps to the publicity received from the TV show, Michael Healy-Rae took over the seat. He has now agreed to repay the cost of the calls. Not, he wishes to emphasise, because he admits any liability or responsibility for this wonderful outpouring of support from government offices. Rather, simply so that the House can get over this and go back to concentrating on the country’s real problems. What he does not understand, or wishes to pretend not to understand, is that the contemptuous abuse of position and privilege to get an advantage over everyone else is precisely the country’s real problem. Good piece, great last line. Certainly this was a horrible misuse of public money. But was it cheating? Surely those shows welcome multiple votes? I’m thinking in broader terms. The rules of the particular show may allow it, but it was still unfair to the other contestants. I think we’d consider it cheating if someone just paid for a few thousand votes, for example. Glad you liked it. As is so often the way, this was one I dashed off when I had no time. In the future, we’ll just skip the ballot and simply directly elect all our politicians through a televote, after they’ve all been part of a reality TV series. “Any viewer who, in the opinion of RTÉ, attempts to tamper with or inappropriately influence any part of the voting or interfere with or manipulate tele-voting procedure may be disqualified from further participation in the voting. RTÉ’s decision in this regard is final and conclusive. Next PostNext Danger Is My Middle Name!